The Pearl Hood and Stanley Wood School of Dancing's heyday was the 1960s and early 1970s when the school was located at 51 Downview Road, Worthing. 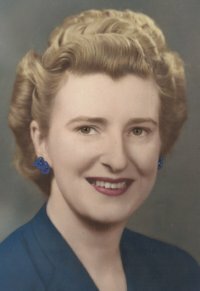 Pearl Jessie Violet Hood was born 18 June 1914 in Croydon, the only child of Willie George Hood (Post Office Clerk - Telephone department) and Ethel Daisy (née Berry). When she started to walk it was discovered her ankles were so weak that she needed to wear boots with special supports. 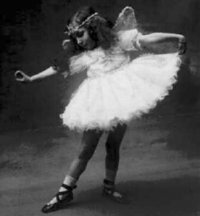 When she was four years old her mother was advised to let her have dancing lessons to strengthen her feet so she was duly enrolled at the Ambrose School of Dancing Redhill (by now they were living with Pearl's maternal grandparents in Redhill as her father was with the British Expiditionary Force in France). Pearl was one of the first pupils of the Ambrose sisters and had her first lesson in their back room. After being demobbed, Pearl's father returned to his civilian job progressing to a telephone engineer. He soon applied for the position as Chief Telegraphic Engineer in Uganda. He sailed from Tilbury docks 1 May 1920 on board the Neuralia. 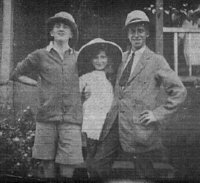 A year later Pearl and her mother joined him, sailing 7 May 1921 on board the Garth Castle. When Pearl arrived in Uganda her father presented her with a pet monkey she called Joey. The locals showered Pearl with gifts, including a baby elephant - which did not please her parents due to the cost of feeding it! Pearl soon became fluent in Swahili. Unfortunately Pearl suffered repeated attacks of malaria, and so she returned to England with her mother, leaving Uganda just before Christmas 1921. They spent Christmas Eve in Mombassa before departing on the Carisbrooke Castle to Marsielles; crossing France by train before taking the channel crossing back to England, and returning to her grandparents' home in Redhill. 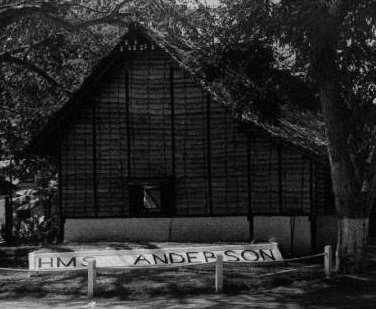 Six weeks after returning the Misses Ambrose had their annual Display at Redhill Town Hall - Pearl danced a solo which she had learned by correspondence whilst in Africa. Pearl's father returned from Uganda on board the Merkara, landing at Plymouth 8 April 1926. He became landlord of the old Royal George public house 57 High Street, Shoreham (demolished c1938). He is listed as landlord in local directories between 1927 - 1929. Around c1929 the family moved to Sidcup area (presumably to be near Willie's family in Bromley). It was in Sidcup in 1930 (when just 16) that Pearl held her first dancing class in a hired room above a pub in Sidcup High Street. The British Ballet Organisation was formed in 1930 and Pearl was a founding member and performed in their opening in Bournemouth that year. Pearl's parents became estranged and so Pearl and her mother returned to live with her (now widowed) maternal grandfather, Richard John Berry, who by then had moved to 26 North Street, Worthing to run a sweet shop. This was the address given in Pearl's first Worthing dancing class advert in the Worthing Herald newspaper dated 6 September 1933. She continued to teach as solo principal (sometimes advertising with assistants) through until 1938. In 1934 Pearl and her mother moved into 13 Upper High Street, Worthing - which was to be her home until 1953. This was advertised as the address of the dancing school. 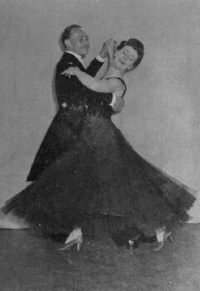 In 1938 she formed a business association with Bernard Knight, and they carried on business as The Knight-Hood School of Dancing until March 1939. There were no adverts for dancing classes between 10 March 1939 and 27 October 1939. When the adverts re-started, she reverted to the name Pearl Hood School of Dancing. It is believed the reason for her disappearance was that she had become pregnant. She certainly spent some of the Summer of 1939 in Bromley, and was seen there with a baby approximately September that year. We do not know what happened to the child, but assume it was adopted (possibly informally/illegally, as we have not been able to locate any records). Pearl involved herself with Worthing Home Guard concerts in the 1940s. Pearl married her first husband, Norman Cumber, at St Paul's Church, Worthing on 9 August 1940. In the next few months Pearl lost both her grandfather (30 January 1941), and her mother (1 June 1941). It is not known exactly when the marriage failed, but Norman did attend the funeral of Pearl's mother. They were certainly estranged by the end of 1942. Pearl first met Stanley Wood at a dance in Brighton in early 1943. They quickly became good friends. 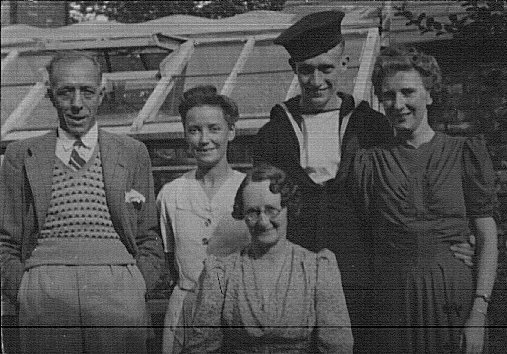 Pearl visited Stan's family in Manchester in August 1943, his last leave before he sailed for Ceylon. 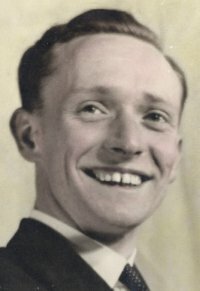 Stanley Wood was born 26 August 1923 in Openshaw, the only child of William Edward Wood (Drapery Warehouseman) and Florence Catherine (née Miller). He attended a number of schools, including Barlow Hall School (1933), Navigation Road Council School Altrincham (1934), Worthington Road Council School Sale (1935 - 1937) and Sale Technical School (1938). He was a keen chess player and became Cheshire junior chess champion. He was also a keen billiards and snooker player. He was also (of course) a keen ballroom dancer. He joined the Royal Navy on 24 November, 1942. Initially posted to HMS "Royal Arthur" at Skegness. Posted to Brighton on 1 January 1943 for Telegraphist (Signals Officer) training. It was whilst in Brighton that he first met Pearl Hood. He was in Brighton until 28 April 1943 - during this time he had learnt morse code achieving a speed of 20 words per minute. After a short home leave he moved to Eastbourne on the 10 May 1943 where his morse speed was increased to 28 words per minute & he learnt Japenese morse & various other procedures. On 20 August 1943 he moved to Chatham barracks for a few days before his foreign draft leave. During this leave he took Pearl to meet his parents. He returned to Chatham 2 September 1943 until 24 October when he travelled to Liverpool to join his ship: the Strathmore (a P & O cruise ship which had been brought into service as a troop carrier). The ship sailed from Liverpool 26 October, intially to the Clyde to join a convoy, leaving there 28 October 1943. The ship passed Gibralter 4 November 1943 into the Mediterranean, seeing their first action early evening 6 November when attacked by aircraft dropping bombs and torpedos; the action lasting about 45 minutes. The ship entered the Suez Canal 12 November 1943 reaching the Red Sea on 16 November and Aden 20 November. They left Aden the following day, arriving Bombay 27 November. Here Stan changed ships to the Matiana. The crew were granted shore leave, but were clearly instructed that brothels were out of bounds! They left Bombay 5 Decmber 1943 for the final leg of their journey to Columbo, Ceylon. Stan was stationed at H.M.S. Anderson near Columbo for the next two years. During that time he joined the station's concert party The Anderson Players and took part in several productions. Always one for tall stories he claimed to have relayed the message about the dropping of the atom bomb on Hiroshima (possible); and (earlier) that he was sitting next to the signals officer who located the transmissions of the Bismark, hence telling the RAF 'where to go' (highly unlikely). He returned home on board the Nea Hellas. Leaving Columbo 21 December 1945; Port Said 1 January 1946; Glasgow 10 January 1946; arriving home 13 January 1946. Stan was discharged from the Navy 12 July 1946 and immediately travelled to Worthing. He was mentioned as a pupil at the Pearl Hood School of Dancing in a newspaper advert from the Worthing Herald of 9 August 1946; and as an assistant by 30 August 1946. 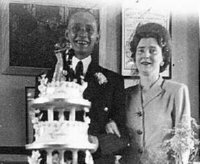 Pearl Hood and Stanley Wood married 2 August 1948 at Shelley Road Congregational Church, Worthing. They took part in the 1949 North England Dance Championship, and won the NATD Kimpton Trophy in 1949. In 1949 the school was first advertised as The Pearl Hood and Stanley Wood School of Dancing. In 1950 their first child Barry Douglas was born. In 1953 they moved to 51 Downview Road which provided both the family home and studio for the school. Starting in 1956 they produced an annual pantomime at the Worthing Pavilion Theatre - this continued until 1979. For several years (late 1960s / early 1970s) they entered floats in the August Bank Holiday Carnival as a form of advertising for the following pantomime. In 1958 their second child Keith Graham was born. In 1973 they moved to 22 Upton Road, and thereafter used hired halls for dancing classes. Stan died 22 April 1978. Pearl died 2 December 1979.